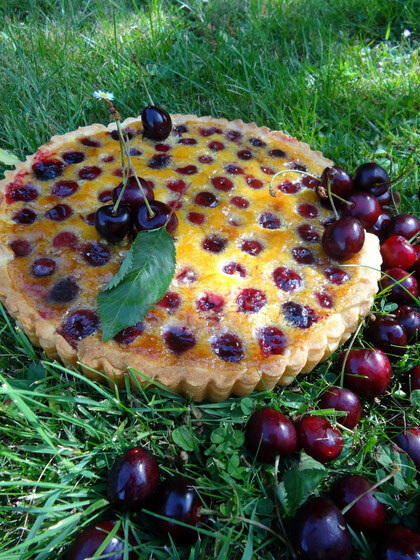 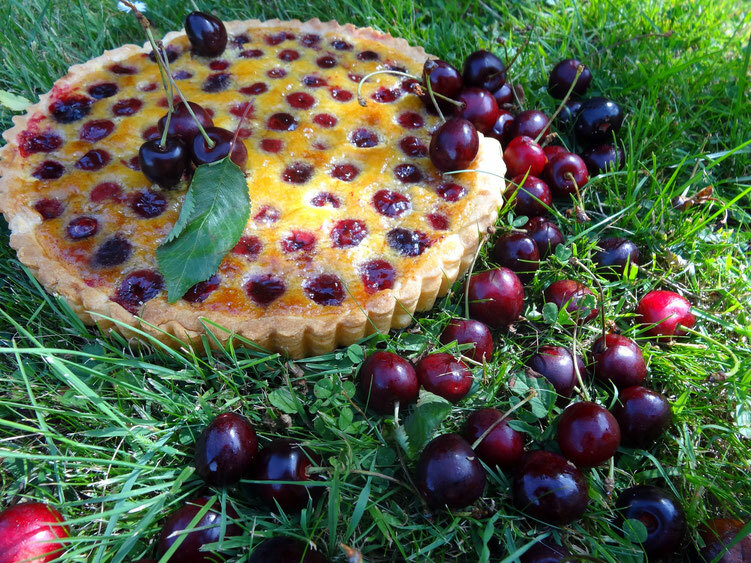 This summer's tart is a perfect balance of flavours: the sweetness of the almond cream contrast with acidity of the cherrys. 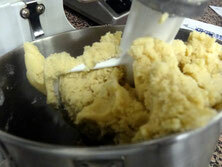 Mix the flour and diced cold butter until the mixture has a sandy texture (Picture 1). 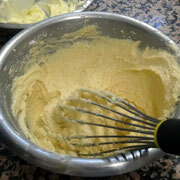 Add the ground almonds (almond flour), salt and icing sugar and mix all the ingredients for a few seconds. 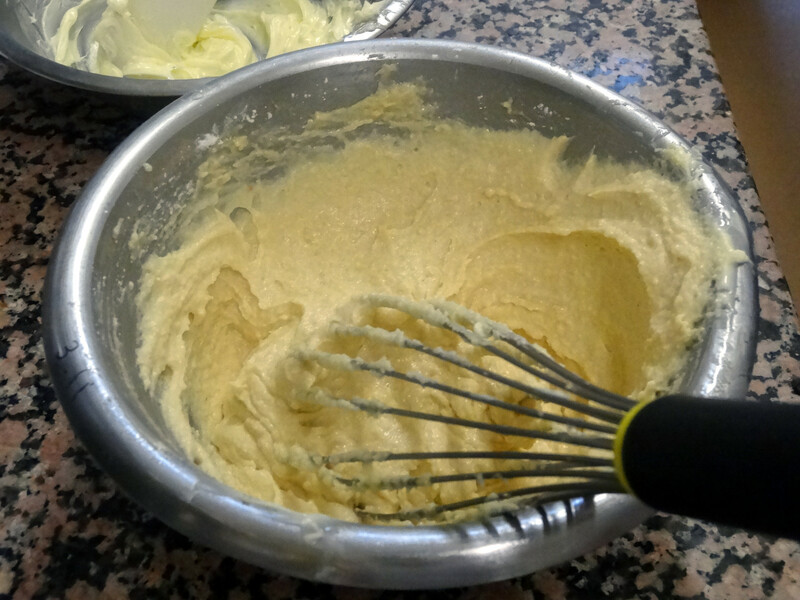 Add the eggs at last and mix until until the mixture comes together as a ball of dough (Picture 2). 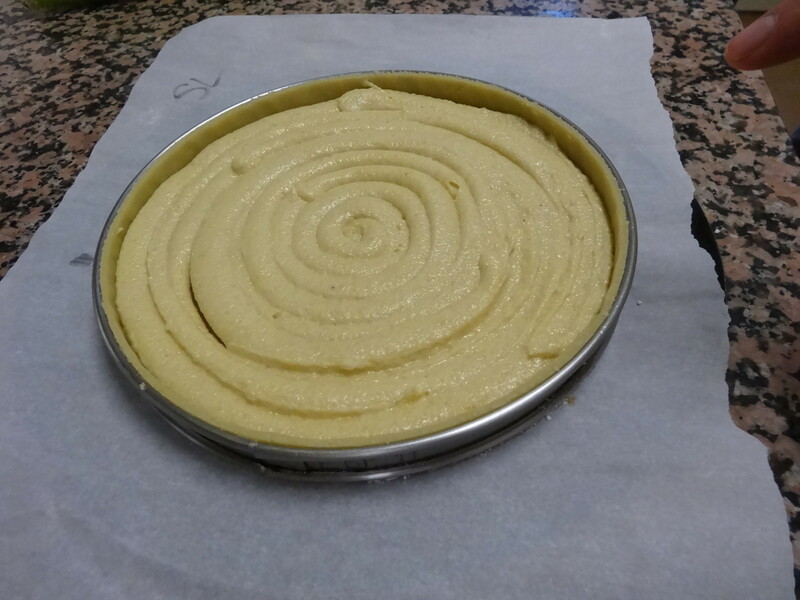 Gather the pastry into a disc, put it in cling film and set in the fridge for 1 hour before using it. 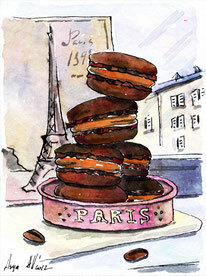 Line the tar tin with the pâstry , pick with a fork and put it in the fridge. 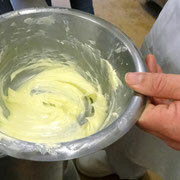 In a mixing bowl, beat together the butter and icing sugar (Picture 4). 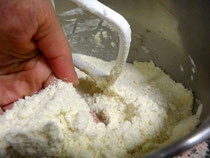 Add the ground almonds and stir to combin..
Add the corn starch and mix until smooth. 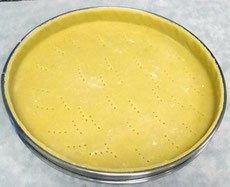 Bake the tart for 30-35 minutes at 180°C (350°F) until golden. 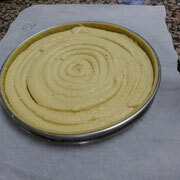 Leave to cool before demoudling from the tart case. 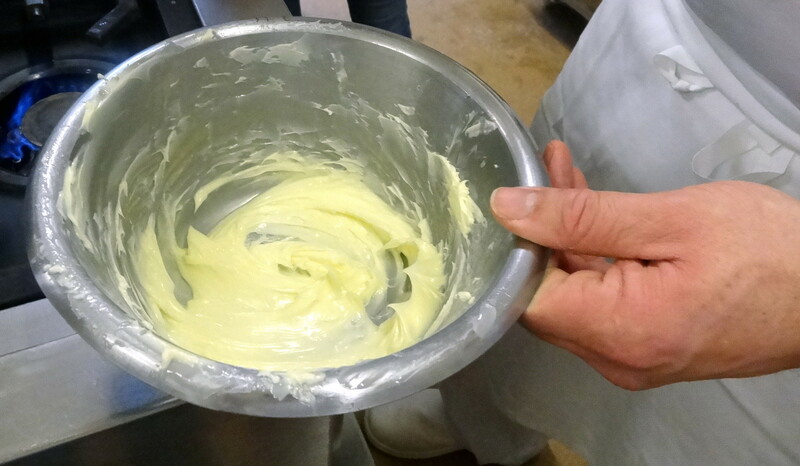 Glaze wth the nappage or abricot's jam.